No other technology is used but the one that is used by Dynamics NAV and Dynamics 365 Business Central itself: Standard RDLC. 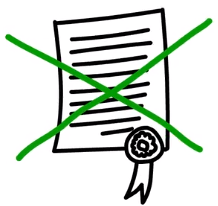 No additional costs for runtime licenses. Only Microsoft Dynamics NAV standard components are required to run reports. No dependencies are added to your customer's solution. No third-party products or licenses are required to run, view or edit reports that have been created or styled with Qucamba Reports. Great News — Dynamics 365 Business Central now supported! 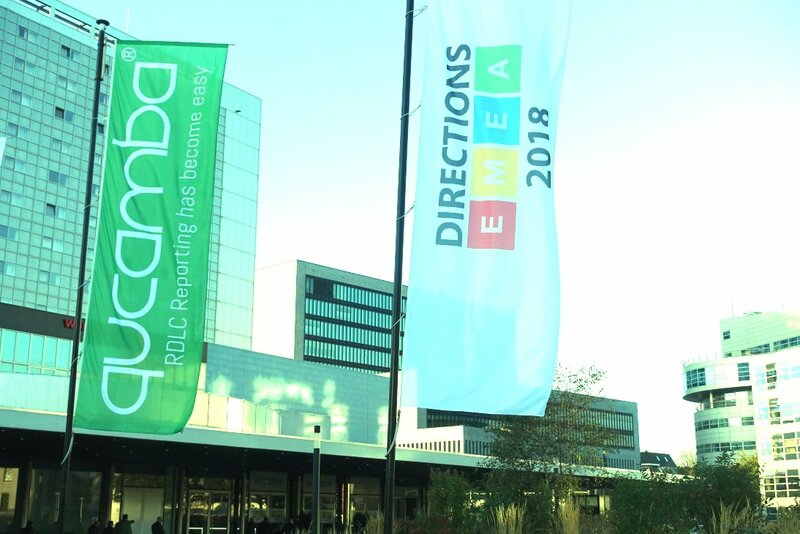 On Directions EMEA 2018 in The Hague, Qucamba announced version 2.0 of the world's leading RDLC standard report design tool for Microsoft Dynamics 365 Business Central and Microsoft Dynamics NAV. 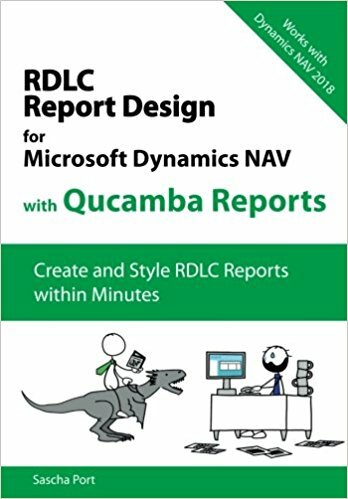 Qucamba Reports can now be used to create, style and preview RDLC reports for Business Central as well as Dynamics NAV with the same application. The new Custom Layout Management facility lets you even create and style custom layouts. No matter, if you are »On Prem« or »in the Cloud«. If you haven't had the chance to join our session on Directions EMEA, watch our video to get all the information. Also, there's a tutorial available on how to configure Qucamba Reports for Microsoft Dynamics 365 Business Central. Meet us at the Extension Experts in Hamburg on Sept 5th! Extension Experts is a forum for users of Microsoft Dynamics 365 Business Central and NAV. Along with more than 30 exhibitors and Microsoft Partners we will show you new opportunities how to use the software more effectively. Meet us there to talk to us and see how Qucamba makes RDLC Reporting faster and easier while saving your money. And don’t miss the early bird registration period until 30.04.2019. Qucamba Reports is an RDLC report development tool for Microsoft Dynamics 365 Business Central as well as Microsoft Dynamics NAV. Unlike other reporting tools, Qucamba Reports relies on standard RDLC technology. This way, it avoids additional runtime licenses and stays inline with the technology used and recommended by Microsoft for Business Central and NAV. Qucamba Reports tremendously reduces development costs by supporting users with frequently asked design functionality. It can be used to create entirely new reports or to re-style existing reports. Qucamba Reports always creates clean and maintainable code as well as a tidy and maintainable layouts. Reports created and styled by Qucamba Reports look as if they have been created and customized by a professional developer. Qucamba Reports is a must have for all Microsoft Dynamics partners and customers. Note. Video is muted by default. Click the speaker button to unmute. Saves you up to 90% of the time needed to create new reports. Qucamba Reports CREATOR allows you to build new standard Dynamics NAV RDLC reports within minutes. Various wizards guide you through the process of creating simple and multiple grouped complex reports as well as documents and labels. Saves you up to 95% of the time needed to customize dozens of reports. Qucamba Reports STYLER styles one or many reports in one go. Have you ever had to change the style of dozens of reports for your customer? So, here it is: a styling workbench that allows you to style as many reports as you like in one go. Various styles allow you to change colors, fonts etc. Saves you up to 30% of the time needed to preview your latest layout changes. Qucamba Reports PREVIEW helps the layout designer to get a picture of his latest RDLC changes. While designing an RDLC layout, Preview instantly renders the layout changes. In combination with the styler, any of the available styles can be instantly applied to a layout while it is being designed. We first saw Qucamba at the Directions EMEA in Madrid in the fall of 2017 and were immediately 100% convinced. Especially the fact that really pure RDLC reports were generated and these can be used without any restrictions and dependencies on the customer installation strengthened us in the decision for Qucamba. Till today, we have generated countless reports with Qucamba Reports and are glad that this tool exists. Not only for us as a long-term Microsoft Dynamics NAV partner but also for our customers, report creation is very important. The intuitive and thought out functions of Qucama Reports provide fast and easy creation of standard RDLC reports which is beneficial for us and for our customers. We work with Qucamba Reports as a Dynamics NAV end customer and are absolutely satisfied with this product! Report creation is real fun finally! With Qucamba Reports, we were able to implement our extensive reporting requirements in a fraction of time compared to usual time spent on reporting so that we completed our Update Project on time. The excellent Qucamba Support provides us with any assistance promptly. This is how it should be! Qucamba Reports significantly improves quality of created reports and provides an easy and clear structure. For us as an NAV partner, Qucamba Reports serves as a powerful tool in day-to-day business and customer projects. Development time of reports has been immensly reduced with Qucamba. Especially routine tasks were taken over by Qucamba. This led to greater customer satisfaction in reporting. Our Quick Start tour helps you getting up and running with Qucamba Reports. To get a quick insight on how Qucamba Reports works watch our product videos and find out how easy standard Dynamics NAV RDLC reporting has become. Download the current version of Qucamba Reports. For running Qucamba Reports, register on qucamba.com and get your program license. This book shows you how to improve your productivity by using Qucamba Reports. It starts with the very basics of a Qucamba Reports installation, explains each program area from the beginning and also shows the intermediate reader how the created reports work and how to get more out of it by building or customizing templates. We're happy to announce the following Qucamba Reports trainings which are now available for booking. 2 days full of reporting knowledge will enable you to effectively use Qucamba Reports for creating and styling Dynamics NAV RDLC reports faster than ever before. Starting with basics of Qucamba Reports you'll learn through to best practices, implementation patterns and report template customizations. All trainings are performed by our learning partner in Germany, the get&use Academy. Seats are limited, booking required.